I’m chocolate-chip-cookie-challenged. Or, I was. My sister, of Virtual Goody Plate fame, can make anything taste good- even watermelon-jalapeño popsicles (go ahead, check it out). I have tried many of her creations- even some that never made it onto the blog, and I’ve never had anything that wasn’t amazing. I’m a fair baker. I’m even good when I put my mind to it. But I’ve never been able to make consistently good chocolate chip cookies. Kari fixed me up with her tried-and-true recipe, and I can make them well most of the time but sometimes I still fail. However, thanks to my husband’s cousin-in-law from Texas, I am instilled with new hope. Isamari posted a link on facebook to this recipe, and I was intrigued. Five thousand people bothered to review it, and it gets 4.5 stars. It was perfect timing, too, since I volunteered to bake 40 big chocolate chip cookies for the guys at church for Father’s Day. (I know, given the information above, that makes no sense. But there it is.) My husband is a huge fan of cc cookies, so I am always trying to make them right. I followed the recipe exactly (except that I made two double batches), and got 56 perfect, huge, delicious, sturdy-yet-tender cookies. Amazing. 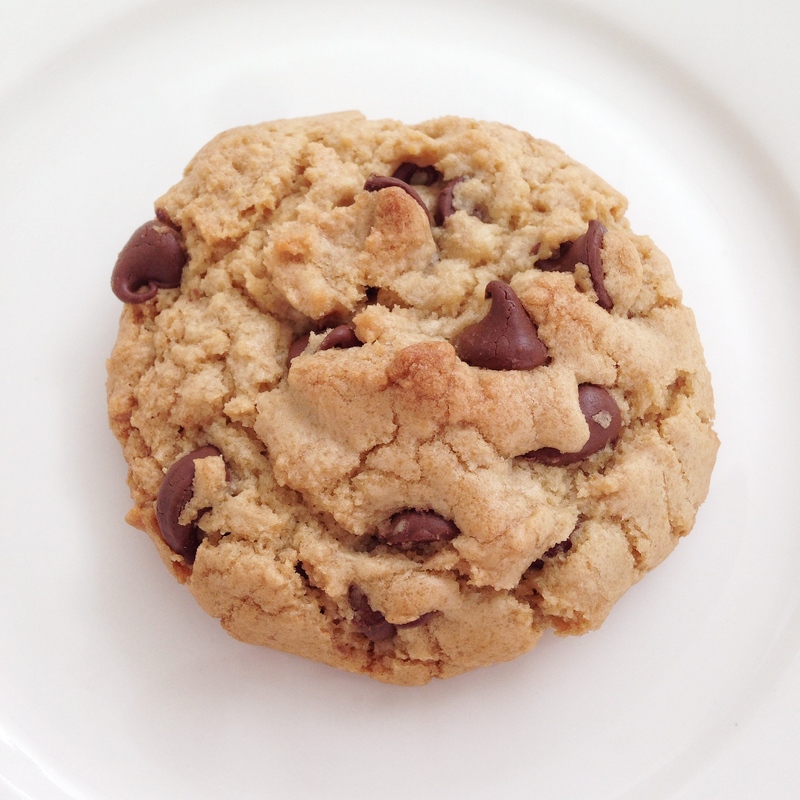 It’s my new chocolate chip cookie recipe and maybe even my last! Here’s the recipe, copied from allrecipes.com (in case they ever delete the page). This entry was posted in Recipes, Regarding Food and tagged cookies by Maren. Bookmark the permalink. I think what makes them great is more brown than white sugar. I use a similar recipe and I think that’s what people say, ‘hey, these are good’ about. I’ve also heard that it’s the one whole egg and one yolk combo that makes these work. Anyway, I’m not too concerned about the why… they’re awesome. This looks a lot like my favorite recipe from Cook’s Illustrated. So yummy and perfect. I make Kari’s all the time, in fact, just last night, because they are a tad easier and really yummy too. I am so glad that you have found a great recipe! We love using local butter and Mexican vanilla for our cookies. Yummmmy!!!!! Chocolate chip cookies are one of my favorite treats, too! Enjoy! Thanks for the link to your and your sister’s blogs. They are delish!!! !